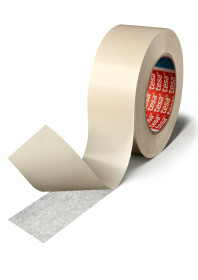 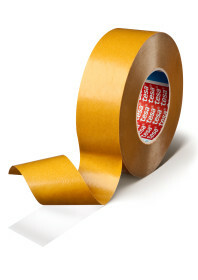 tesa® 51575 is a double-sided tape with a non-woven backing. 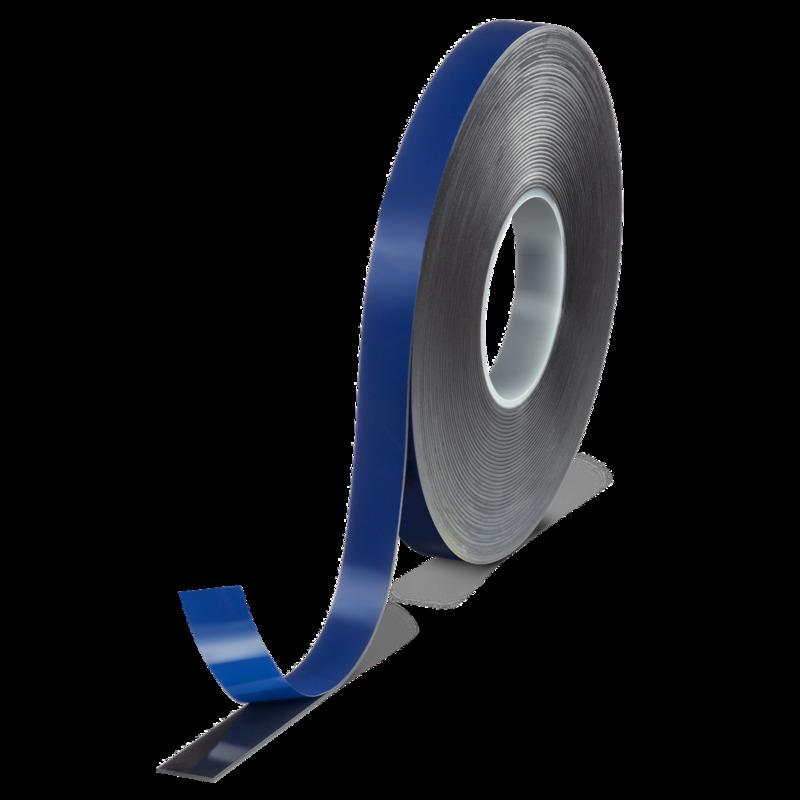 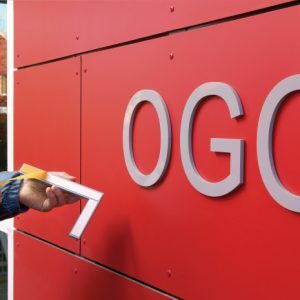 It is coated with a water-based acrylic adhesive offering high tack, high shear and temperature resistance. 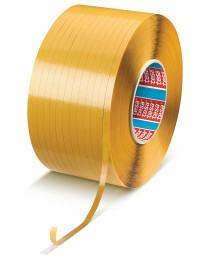 The special adhesive formulation ensures a good bond even on rough surfaces such as cardboard and corrugated board.